Mezzanines that conform to this section can be considered a portion of the story. They cannot, however, be counted as either the building area or the number of stories as regulated by this section. The area of the mezzanine must be included in determining the fire area. The clear floor height of your mezzanine cannot be less than 7 feet. A. The total area of mezzanines in buildings and structures that are Type I or II (see Occupancy Classifications:IBC-09) for special industrial occupancies in accordance with this chapter cannot be more than two-thirds of the area in the room. B. The total area of mezzanines in buildings and structures that are Type I or II cannot be more than one-half of the area of the room in buildings and structures that have an approved sprinkler system throughout. The sprinkler system has to be in accordance with code requirements and an approved emergency voice/alarm communication system. Mezzanines are no different when talking about exits and exit routes. Each occupant of a mezzanine must have access to at least two exits where the common path of exit travel is over the limits. If the exit from your mezzanine is a stairway, the maximum travel distance must include the distance traveled on the stairway measured in the plane of the tread nosing. Accessible means of exits must be provided, as well as a single means of exit. If a building or structure has a mezzanine it has to be open and no obstructions are allowed in the room where the mezzanine is located, except for walls that are not more than 42 inches high, columns, and posts. 1. 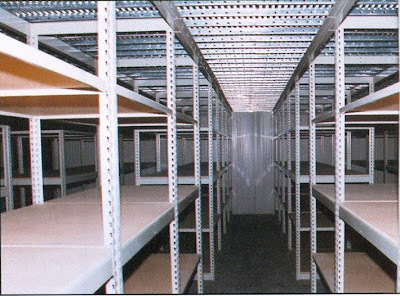 Mezzanines or portions that are of concern are not required to be open, provided that the occupant load does not go over 10 persons. 2. Mezzanines or portions that are of concern are not required to be open to the room if at least one of the exits provides direct access to an exit from the mezzanine level. 3. Mezzanines are not required to be open to the room, provided that the total floor area of the enclosed space does not go over 10 percent of the area. 4. In industrial facilities, mezzanines used for control equipment are allowed to be glazed on all sides. 5. In Groups H and I occupancies that are no more than two stories in height above grade plane and equipped with an automatic sprinkler, a mezzanine having two or more exits is not required to be open to the room in which the mezzanine is located.